For our last class with the second graders for the semester, we talked about the history of flavored ice, which dates back 5000 years, and watched a video about food waste and what we can do about it. Our final recipe, “ugly” citrus sorbet, brought together many of the concepts we’ve been exploring over the past nine weeks. Wednesday was the vernal equinox and the first day of spring, so we used the bounty of the winter season one last time. Making sorbet incorporates two forms of food preservation: sugaring and freezing. All the citrus the students worked with came from local farms. The citrus was labeled “ugly” even though it tasted delicious and provided the same nutritional value as more expensive, traditionally beautiful fruit. By participating in a local food system that supports farmers, we help reduce waste and continue to advocate for healthful food to be accessible to all members of our community. 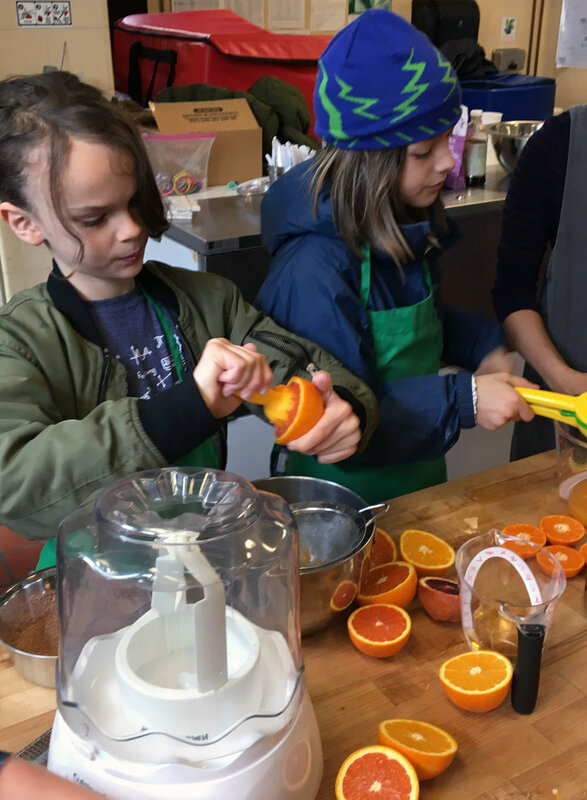 The students combined the juice of several varieties of citrus with salt, simple syrup, and corn syrup. We then froze the sorbet in ice cream makers while we made our toppings: freshly whipped cream, shaved local Guittard chocolate, ribbons of fresh spearmint, Tango tangerine pieces, and chopped candied ginger. 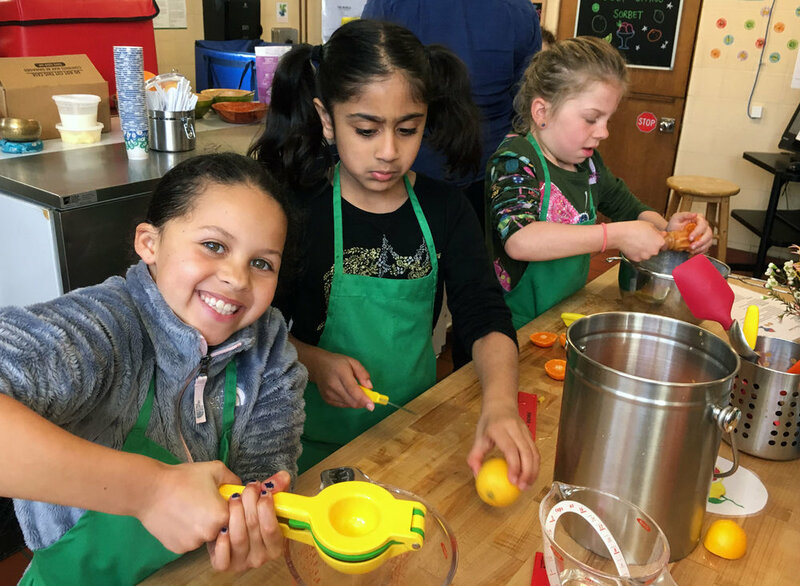 The class didn’t allow for enough time to eat the same sorbet we made, so Ms. Katie and I made sorbet for Ms. Reynold’s class, Ms. Reynold’s class made sorbet for Ms. Butler’s class, and we will serve the sorbet Ms. Butler’s class made at the PFC meeting on April 9th. It’s enough just to look at all the smiling faces below. See you next year, second graders!